NCVC Follow Up- Your comments and Questions answered. Thanks to so many of you for the support and encouragement we received on the work we are doing to help Survivors of Homicide and thanks to all of you who work with them as well. By our continued commitment together we will increase what is available to such families. This follow up letter is in response to the many requests and comments received. Your feedback is appreciated and I hope we have answered your questions below. I have come to many workshops and until now, they only told us what we did wrong. Thanks so much for helping me feel so much better with what I am doing. I am responsible for funding in our state and we have six programs for homicide and so little resources. I want your book for our programs. I have been working with folks for over twenty years, and I still learn something new. Thanks so much. I want to buy your book to hand out to our survivors, is there a way I can buy them in bulk? 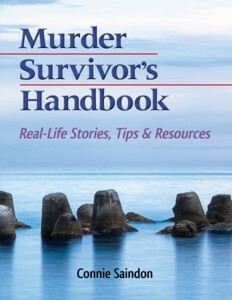 Is your book (Murder Survivors Handbook) available online? Yes , the book is available at Amazon.com as well as other bookstores. 4. Both Connie Saindon and Vilma Torres are members and presenters of the Violent Death Bereavement Society . Both have worked with Ted Rynearson’s Restorative Retelling Model since 1998. There is a proposed training that has yet to be finalized to take place next year in New York. Contact http://www.vdbs.org/ for updates for training in Restorative Retelling.